Give the gift of relaxation, with a luxurious and calming bathing experience in the comfort of their home. Enriched with Shea Butter and Vitamin E to moisturize, soothe, and soften skin. Soak in the fragrance of cherry blossom and enjoy the sweet scent of springtime in the comforts of your own home. Made from high quality and cruelty free ingredients sourced from United Kingdom. Enriched with Shea Butter and Vitamin E to moisturize, soothe, and soften skin. 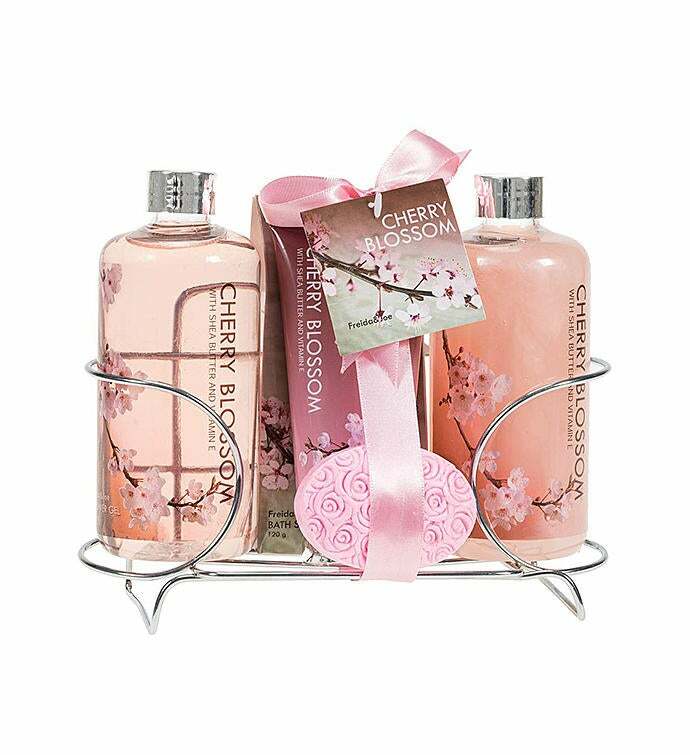 Soak in the fragrance of cherry blossom and enjoy the sweet scent of springtime in the comforts of your own home.